As the Yuletide approaches in the US followed by year’s end, the joy of the Latino celebration of these holidays is evident. This includes the sounds of villancicos, the stagings of the Posadas, accompanied by the season’s Hispanic gastronomical delights such as buñuelos, tamales, lechon asado, turrones and countless other delicacies from the different Latin American countries. Yet, as a whole, the ‘state of the union’ of the Latino community appears to be one of confusion or uncertainty in what awaits it. The public discourse this year has been replete with talk of the following: the Latino impact at the polls; the future of Immigration Reform; the DREAM Act; increasing deportations; the Arizona ‘profiling’ law; the increasing anti-immigrant and anti-Latino tone in the public discussion; the social, political and economic divisions among the Latino communities; the lack of clear leadership in the national community, the impact of the deep economic recession in terms of the menacing debt, credit and unemployment, and the way forward. Yet not much seems to have been resolved. Moreover, the upcoming release of the 2010 census will not provide sufficient clarity but probably provoke a debate on the accuracy of the Latino population numbers and the statistical definitions of the overall Latino community. Also, the changing political landscape in Washington and the state houses bodes a tough slog ahead. Plainly, the Latino community’s challenges persist and often appear to become even more muddled. The apparent political meltdown of the Obama Administration suggests an even more difficult time for the traditional Latino Democratic Party consensus. They are coming up empty-handed by and large. The GOP also faces a real dilemma with its feverish anti-immigrant emerging majority and its pragmatic need to continue to attract Latinos beyond the social conservative mantra. This past election Latino GOP candidates achieved better results than their Democratic counterparts. As the political passing of Democrat Governor Bill Richardson occurred, with the end of his tenure, there were no Latino Democrats running for governor in any of the 50 states, yet, Republican Latino candidates for Governors were elected in Nevada (Brian Sandoval) and in New Mexico (Susana Martinez). Three or two new Mexican-American GOP Congressmen (depending on whether Jaime Herrera of Washington State considers herself Latina) were elected. Texas chose two of these newly elected legislators: Kiko Canseco and Bill Flores. 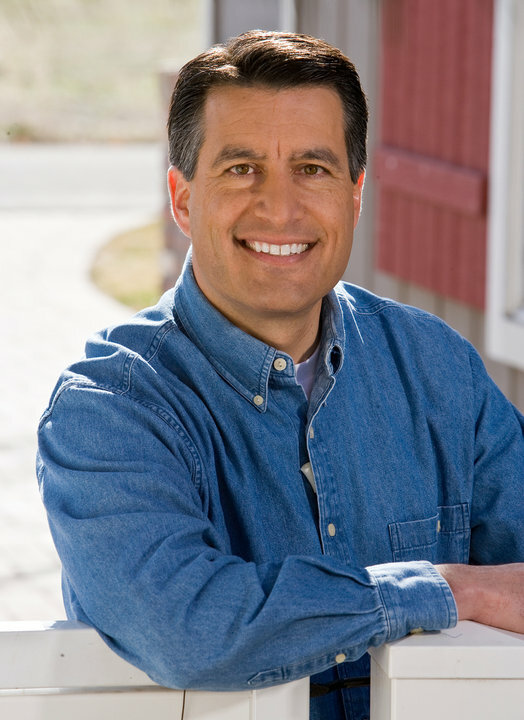 Additionally, in Idaho, another Republican Raul Labrador was elected to Congress; Labrador is Puerto Rican. The GOP also sent three Florida Cuban Americans to Congress, two were re-elected (Ileana Ross-Lehtinen and Mario Diaz Balart) and one was newly elected (David Rivera). While Marco Rubio, the newly elected GOP Senator from Florida, restored the number of Cuban-Americans in the US Senate (2), after Mel Martinez’ departure; Senator Bob Menendez is the only Latino (Cuban-American) Democrat in the Senate. While two Democrat Latino congressmen from Texas lost their seats (both Mexican-American) Solomon Ortiz and Ciro Rodriguez; three Democrat Puerto Ricans Congressmen were re-elected (Serrano, Velazquez and Gutierrez). Let’s not forget that Mexican-American Democrat Ken Salazar of Colorado left the Senate in 2009 to become President Obama’s Secretary of Interior and was replaced by a non Latino. At the same time, Democrat Congresswoman Hilda Solis left the House of Representatives to become Secretary of Labor and saw her seat also go to a non-Latino. The sum of all these musical chairs further suggests that neither party has nor will have, any time soon, a solid in-run into the Latino community. While the Democratic Party still appears to garner more Latino support over all, the question is whether this may hold solidly in the out years. The growing willingness of Latinos to vote for either party makes them most attractive to court since this vote will increasingly be ‘up for grabs’. But for the GOP to reap the benefits of this voting population, it will have to become more welcoming to the Latinos. Lately we have seen some GOP leaders seeking to augment their outreach to Latinos by restating their outlook on issues such as immigration reform. For example, Newt Gingrich, former speaker of the House, has made an about face. Though historically he was Tea Party-ish on immigration, he is now openly seeking to position himself favorably with the Latino community by calling for the legalization of all workers residing in the country. As the GOP begins to position itself for the 2012 presidential elections, we may yet see Jeb Bush (President George W. Bush’s brother) emerge as the GOP’s leading candidate who can deliver the Latino vote, especially Cuban Americans, the more conservative segment of the Latino community. Jeb is Roman Catholic, has a Latina (Mexican) wife, speaks fluent Spanish and has a solid base among both Florida and Texas Latino Republicans. Though his dynastic family name could still be an obstacle, given the current lack of potential candidates, the Bush name still could re-emerge. The biggest impediment for Latinos to vote solidly GOP is the troubling tenor or anti-immigrant tone among many of the rank and file members and some extreme sectors of its leadership. The most immediate challenge to the Hispanic/Latino community is the conduct in addressing the undocumented or illegal conundrum: how do you satisfactorily resolve the status of over ten million undocumented people? The Latino community faces a formidable challenge in making the case for amnesty. An expanded Cuban Adjustment Act is not in the cards for the rest of the undocumented Latino immigrants. Getting to the front of the line is politically unacceptable. Plainly, politically the conditions for a reasonable and just resolution are distant. Especially when while the economic conditions are bleak or at best uncertain the mantra from some quarters seems to be: blame the illegals. Immigration, educational achievement and equal economic opportunity are the most important and pressing issues on the Latino agenda. They remain unresolved or unmitigated. The Latino socio-economic indicators reveal a huge underclass in the making. Though, some progress is also apparent: more college graduates and an increasing middle class; the vast influx of immigrants in the last three decades has raised the numbers in poverty. Educational statistics show a startling under-achievement among Latinos. Health and income conditions among Latinos are most unsettling. They continue to confront the Latino community. Most disturbingly the election of the first Black-American to the Presidency has sadly unearthed and aroused many racist sentiments in the body politic. Obama inherited two costly undeclared wars, the deepest recession since the Great Depression, a run-away debt crisis, the clear lack of vision among the leadership in Congress, a fractious body politic, a lame press, a growing income inequity, a withering national infrastructure, an underfunded and weakened educational system and a shrill tax sharing burden debate. The GOP take over of the House of Representatives will further hinder the President’s range of action. This is a daunting scenario. Obama is now weakened and is in no position to take up the Latino agenda. In sum, the national Latino leadership should be readying itself for a monumental struggle in addressing the key issues confronting the community. Moreover, the bruising political effort to attain some rational discussion and resolution of the tangled issue of immigration will not be swift. Success or failure will serve test the Latinos’ ability to manage formidable issues. Lastly, Latinos seem to be totally disengaged from the global agenda. When a Latino soldier’s body is brought back home from war seems to be only occasion we discuss the war and the security challenges facing the country. Security policy is virtually absent from the Latino national agenda. Hence, it seems almost premature to discuss the Latino participation in globalization or its engagement in foreign policy and trade. The way forward is indeed a true challenge. The Latino Community, unlike the Black Community, now sees a new generation of Spanish surnamed politicians fully prepared to stuff their pockets and dance all the way to the bank. Only Raul Grijalva and Hilda Solis fully understand the definition of public service, while the rest of the Hispanic Caucus caters to the non-profits, Nordstrom’s, and only generates a lot of hot air. Someone needs to wake up Grace Napolitano and remind her of her obligations to create legislation that will actually benefit her district. Someone needs to tell the Sanchez sisters that dysfunctional, deceptive, loud self-serving public behavior is no excuse for ignoring the needs of their districts. And Joe Baca needs to come to grips with the reality his children do not have the brains nor the substance to constitute an oligarchy. It was evitable Ciro Rodriguez and Solomon Ortiz would eventually lose their seats. With a combined IQ of 40, even the most humble Latino voter could only stand so much stupidity. And where is Janet Murgia and NCLR in all this? Shopping at the mall…no doubt? It has been too long since Seneca enlightened us with one of his posts…welcome back…as grim as the picture that unfolds before us in terms of national politics, I venture to say that Latinos proved in these past elections that we do have the power to elect candidates to office…unfortunately I believe what we are seeing is too much identity politics instead of discerning voters when it comes to identifying candidates who actually represent our interests…it is hard for me to understand how any Latino would feel well represented by the Republican Party which basically rather see all of us go back to our country of origin or that of our ancestors…on a positive note the Reed triumph did show that at least in that case we Latinos understood the value of a politician who has championed legislation that will deeply impact the future of thousands of our youth who are eagerly awaiting passage of the Dream Act legislation…I am not sure whether our so called leadership is out shopping or simply out to lunch but what is a fact is that when it comes to using the precious right to vote we must detach from our heritage and vote for those who will represent and fight for our interest regardless of their ancestry, until the day when we can count on Latino candidates who understand the trials and tribulations of our community and the value of public service instead of personal interest…Unfortunately several of the Latinos who were elected or re-elected this time around are proponents of the same type of legislation as Arizona’s SB 1070. Definitely not the type of elected officials we need in office. As Seneca states “The way forward is indeed a true challenge”. Almost all of the indicators listed in your interesting article paint a bleak picture of the Latino future.Actually,I agree with most of your observations.they seem correct to me. From that picture you paint I conclude that it is timely and necessary for Latinos to be asking some vital questions for 2011 and beyond.. I believe at this point in the Latino struggle there is no one answer yet that has risen to the top.Right now there are several different pieces of the puzzle coming from different places each holding a piece of the puzzle as to where Latinos should be heading. Recently,I read an article about Congressman Luis Gutierrez’s speech given at a rally in Brooklyn.The speech was about the DREAM act and the consequences if it fails to pass the US senate..what Latinos should then do. Standard politicians rhetoric or not,IMHO,Congressman Gutierrez’s suggestions make perfect sense to me. How this relates to the question.. The fact is, Latinos have not been taken seriously by either of both parties,they have been constantly manipulated,lied to,exploited and used. In my opinion Latinos must act in their own behalf and not totally depend on politicians and the democratic or GOP parties. must be prepared to ditch Obama and the Democrats—and take the movement to the streets. It’s healthy and smart to be wary of leaders…especially politicians ..
Rep. Gutierrez did make empty threats before around the CIR issue.I myself criticized him and the rest of the CHC crew quite strongly on that one . Politicians are politicians of course but I’m not focusing so much on the politicians themselves as much as I am in pointing out their message,in this case Rep.Gutierrez et al, communicating to Latinos that direct action and protest be called for as a viable response to Democratic party/Obama/DNC abandonment,lies and inaction,GOP hostility.. Urging Latinos to exercise their democratic rights of protest and freedom of speech,to demonstrate,publicly express their disapproval and discontent with the status quo is positive because it mobilizes Latinos to action,raising their political awareness and consciousness of democracy in the process.. So in reference to Rep.Gutierrez speech I am not so much concerned about the messenger as I am the message. A question I have been asked lately by some Latinos ..
As to the UFW,the Immigrant Marches of a few years ago, the Arizona boycott etc.etc..
Rome wasn’t built in a day and nobody ever said freedom is easily reached.There have always been and always will be set-backs and defeats in the “struggle” for justice,freedom civil and human rights..People have sacrificed their lives in direct action for these things. success and results.In reality,Life and the World don’t operate that way.The same can be said for political and social Movements. Furthermore, it’s easy to sit on the sidelines and just criticize direct action protests be they marches,demonstrations,rallies,sit-ins,boycotts, hunger strikes…etc. Those who sit on the sidelines,who just snipe and complain about direct action are usually people of low integrity lacking the conviction and guts to get out there and unite with other Latinos to demonstrate,protest,march…etc.. In my opinion,those who do nothing but snipe and criticize have no right to complain. In my opinion this is a good suggestion for Latinos because it urges them to become more politically self-reliant,raises their level of political sophistication and awareness to become less dependent on the Democratic party and the GOP.this is a step in the right direction as far as I’m concerned. A variety of forms of protest are good ones but they should not be mutually exclusive to other direct action forms of protest such as demonstrations and protests, marches, sit-ins etc etc.. They are not mutually exclusive..
You don’t think black politicians do that? Look at Charlie Rangel. And I haven’t seen any Latino members of Congress commit ethical violations. Enough with your false generalizations. You need to stop comparing Latinos to other groups. You do that all the time, but your perceptions are distorted. Tired of the negativity. That’s half of the problem. If you don’t like the quality of leadership, then get involved and help vote in somebody new. Democracy requires participation. What is stopping you from participating? Look at how much the Dream Act kids have accomplished just by organizing!! Even if the Dream Act does not pass, they have accomplished a great deal. I admit that I underestimated them a few months ago. Why don’t you organize some people and work on the issues that are important to you? But I also don’t think that electing the right person is going to solve every problem because some of the problems are cultural. That’s where the organizing needs to be done. Teaching people how to plan their families, how to eat right and excercise so they don’t get diabetes, how to keep their credit report good, how to study, how to apply to college, how to speak English, how to keep yards/neighborhood clean, how to open/expand a small business, etc. Actually, Charlie Rangel is half Puerto Rican, so I guess that makes him Latino. His father was from Ponce, Puerto Rico, so I see him as being both African-American and Latino or rather Afro-Latino. In my opinion, politicians of all ethnic groups are capable of ethical problems. I don’t think he sees himself that way. I do want to point out that Rangel is a Spanish surname. And what are we all doing to contribute and hold our leaders accountable in this monumental struggle, especially in light of the new House leadership? you make some good points there..
you’re right -electing politicians isn’t going to solve every problem including problems that are cultural in origin. Absolutely,organizing needs to be done everywhere,on all levels and in many creative ways. If Latinos don’t make the effort to organize then there will be no change. Sure,some individual Latinos would get by and even fewer succeed even if Latinos did nothing to act as an organized group to advocate their interests. Some Latinos actually believe they owe no loyalty or sense of responsibility to help or defend their people.I think we have all met these types before. Others want to do something to help and defend their people.These people are the leaders and the organizers who exist on all levels from family to community people can be both leaders and organizers of family,friends,neighbors,community etc etc..
(Yes,leading and organizing one’s own family and friends is extremely important).. Teaching people these things would be great examples of basic leadership and organizing. Just as importantly as teaching people,trying to change their individual habits and thinking,would be to struggle to change the social,religious,political sources which reinforce and promote these problems. Teaching people how to plan their families is easier said than done,you’re up against thousands of years of Mexican cultural evolution and also the doctrinal stranglehold the Catholic Church has had upon Mexicans ever since Cortez conquered Mexico. Millions of Mexican believers go to mass every Sunday and hear the priests continually tell them that God wants them to be fruitful and multiply,that abortion is a sin,that contraceptives are to be discouraged.I’m not saying teaching Mexicans family planning is not worth the effort,rather what I’m saying is that changing habits and culture will eventually involve going up against and criticizing historical Mexican cultural and social institutions as well as the Catholic Church itself.Not easy! Teaching people how to eat right and excercise so they don’t get diabetes.. I totally support this concept! People do need nutritional and health education and counsel. Diabetes is a scourge on the Mexican people. But here again this is easier said than done.Junk and fast foods,sodas and candy are extremely popular with Mexican people.Most people don’t know that Mexicans are per capita the worlds largest consumers of soft drinks.Also,more recently Mexicans have been identified as being the most obese people in the entire world! We can and should teach Mexican people nutrition and health education.But here again we also have to oppose and criticize the huge multi-national corporations who make billions off of feeding unhealthy foods and beverages to Mexicans.Unfortunately,most Mexicans are poor and don’t have that much money to spend on organic or other healthy nutritious foods. Poverty and unhealthy lifestyles also contribute much to this. In most cases junk food is readily available,cheap and convenient.Couple this with the ever present 24/7/365 incessant bombarding of Mexicans with TV and radio advertising with appealing and popular commercials. It’s worth the effort to educate people, but once again you can see what we are up against. Teaching people how to keep their credit report good, how to study, how to apply to college, how to speak English, how to keep yards/neighborhood clean, how to open/expand a small business, etc. Of course we should teach Latinos how to do these things.This is beyond debate. Millions of Mexican kids live in poor,unstable insecure environments ..family,neighborhood,peers.. Kids are anxious and nervous,constantly full of worry about their parents unemployment,lack of opportunity,no money, immigration status which makes them vulnerable and adds to anxiety and fear.Many times Mexican families live together in very crowded homes with hardly any privacy or quiet zones for a kid to concentrate and study.It is not so easy for these kids to study even if you teach them how.Currently Latinos nationally have the highest high school drop out rate of all racial groups. Money is by far the number one problem Latinos face as an obstacle to having a college education. We need to pressure government and the politicians to fight for more grants,loans and scholarships! Of all these problems teaching people English would be the most do-able.Latinos need to do volunteer work and teach English! This is one problem we ourselves can help to reduce. Good idea but not so easy.It’s a fact over 82% of all new small businesses fail within the first 5 years of business. Add to this problem our current economic meltdown and you can see that this one is definitely not that easy.Mexicans should be encouraged to open a small business but they should also be realistic and not have false expectation. It would be good to teach Latinos all these things but we need to take into consideration solving these problems would also require fighting for them politically on a political,economic,religious,cultural and social basis as well. As usual, Anna, the Latino Apologist, not only has her head in the sand, but all the way up her… Why don’t we all just think positive thoughts and pretend the Hispanic Caucus, the non-profits, the Sanchez sisters, and Joe Baca are so concerned with our political empowerment and social progression? Anna probably doesn’t pay any taxes, and that’s why she’s so comfortable being blind to the chicanery these political hacks perform day in and day out. It’s not about thinking positive thoughts. It’s about taking action. But you really can’t take action unless you change the way you think. How many times do I have to say that if you don’t like your representatives, then organize to find a candidate who will represent you. The reality is that if you don’t have a plan for yourself, somebody else will have a plan for you. And yes, I work and pay taxes, so keep your dumb insults to yourself. The last paragraph of the this blog about Latinos and the global agenda is telling. So many of the Latino organizations seem to be focused on domestic issues and same goes for the rhetoric of our leaders in congress. I don’t see enough encouragement or dialogue about the wars (in any press), Latin American foreign policy, but we do hear about the never ending ‘drug war’ in Mexico so as to warn us to ‘be afraid’ of the brown people on the other side of the border who are supposedly all up in arms. We don’t necessarily need more Latino candidates. The GOP showed us that they can find them, run them and win, but this new crop of Congresspeople don’t seem to represent what a lot of us want. For instance, this Jaime Herrera is talking about more border security (i.e. more militarization), Marco Rubio doesn’t seem to support the DREAM act…and seems to want to go back to Bush era policies (he talks a lot about the ‘free market’, no amnesty – except for Cuban people who get the most generous ‘amnesty’ out of any group, etc). All the Spanish surname GOP politicians suffer from various forms of self-loathing, and in some degree…denial of their roots and their community. They embrace the Republican Party for its racism, the chance to parade as a WASP, and the opportunity to openly put their public office up for sale, and not feel any obligation to public service whatsoever. Outside of Richard Lugar, when have you ever seen a GOP politician supporting solutions for the homeless, minorities, higher education, and disabled war veterans? The GOP is there to champion the rights of Corporate America, Wall Street, and the Banks. And that’s it. I agree, but think the power of those institutions can be undermined through organizing. What if a group picked one neighborhood full of obese people, and went door to door handing out xeroxed information about nutrition, and the fact that the chemicals in fast food, frozen food, canned food, and soda have been linked to diabetes? Those people would then tell others. This should be done all over Los Angeles. I think the power of speaking to an informed person who looks like you, and who has the same concerns as you, can undermine advertising, which doesn’t even feature people like us anyway. They don’t use brown Mexican-Americans in any advertising that I have ever seen. I also do not believe that it’s always cheaper to eat processed food than real food. Chicken, ground turkey, beans, rice , chiles, eggs, corn tortillas (not flour!) yams, sweet potatoes (in moderation 1/2 cup servings) and non-organic vegetables are not more expensive than pizza, Burger King, etc. If you can’t afford organic vegetables, non-organic are better than no vegetables at all. Eat some leafy greens everyday. And do not drink soda!!!! It’s full of high fructose corn syrup, which over time can damage the liver, especially in children. Also, people need to exercise at least an hour a day. Break a sweat by running, walking, riding a bike. If you can’t do that, then buy a cheap jump rope and excercise at home. Just move. This 30 minutes a day three times a week is BS. You have to move at least an hour a day, and if you are obese, even more. As for family planning, that’s a more complicated issue, and access to birth control is a factor. I think this is the biggest problem out there–having children that you can’t afford to take care of, and that you don’t have time to take care of. That affects crime, education, etc. Of course not. They are going to represent the GOP. I don’t know why they think that Marco Rubio will bring in our votes. They could not be more mistaken. It is important to underscore that a party label does not and should not impugn the integrity of any Latino politician anymore than a Black and/or white Democrat or Republican. We should be proud like Jewish-Americans, Greek Americans and Italian-Americans who are represented in both parties and have been most successful in achieving their communities’ goals. We cannot as the Latino Community be self-destructive and see politics as a zero-sum game (all or nothing) like so many of our cousins do in Latin America. This would be most counter-productive to the Latinos’ aspirations. Both parties have their giants: Lincoln with brilliant determination fought a bloody war and freed the slaves; Teddy Roosevelt who gave us the keen awareness of saving our environment; Reagan who rekindled the American spirit and helped bring the Cold War to a favorable conclusion ; FDR with his bold leadership pulled us out of the deepest economic doldrums and led us successfully to end WWII ; Truman with his sense of justice integrated the armed forces; JFK with his vision enabled us to get to the moon; and LBJ with his humanity gave us the most effective civil rights legislation ever. Again do not judge a Latino’s political affiliation as negative. The differences can be debated, discussed and examined in the public square. Statesmanship can be ours as well. Thank you for reminding us of this Seneca. In reality, both political parties have their problems. In essence, they both serve the corporate interests, the GOP does so a bit more blatantly, while the Democrats are slightly more aligned towards the unions. In a lot of ways, Gore Vidal is correct that there is one party — the Property Party. The differences between the two current parties, except on cultural issues/morality, aren’t that stark. “Statesmanship can be ours as well.” — maybe this is a problem too… we don’t have many elder statesmen in our community to lead the way and move beyond partisan bickering, which becomes inane and trite anyway. Come on. Obviously it’s a free country and people are individuals before they are members of any ethnic group, and they can support or join any party they want. But don’t tell me that I should respect them, because I don’t. The only way I would perceive Latinos in the GOP as somewhat positive, is if they moderate their party’s views on civil rights. 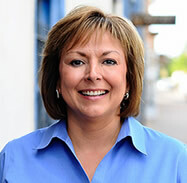 For instance, Susanna Martinez said that she would not support an SB1070 in NM. And this gets to what Michaelr was saying… the GOP has become a place for many racists to hide — in some circles within the GOP you really have to wonder why it is they are still hell bent on securing the border, building more immigration prisons (see AZ SB 1070 and how that started) and eager to kill the DREAM Act (so yes, amnesty for some like Cubans, but not for the children of those who work in our restaurants or who pick our produce). Look at Sharron Angle and what some of the Tea Party or Teapublicans were peddling in the last election, putting all Latinos under a cloud of suspicion or criminality. Maybe Seneca is more even handed in his view, but I hope he comes back with more comments about this. His ideas seem to be grounded in history. Perhaps he knows something about this GOP that we aren’t seeing. I think that instead of being a Dem or a Rep that we should not be married to either one of those. They are both pretty bad. “This past election Latino GOP candidates achieved better results than their Democratic counterparts.” — from my thesis work on the democratic primary in California that pinned Obama and Hillary, it’s safe to say that Dems have for the most part have taken the Latino vote for granted. In addition, very few dollars are actually spent by the DNC to assure Latinos to vote for Dems, so it’s not surprising that very little effort has been made to recruit Latino leadership. In the leadership that is ALREADY established, they are too busy being career politicians and serving their own agenda’s that they have seldom mentored someone to take their place. It’s a sad state of affairs when the growing number Latino elected officials seem to reflect a very different ideology than the majority of Latinos. It’s more telling on the RNC’s ability to message, target and reach its objective. Latinos have consistently saved the DNC and saved Reid’s seat – yet… what’s the return of that vote?